The first "L" station at Oak Park Avenue was built as part of the Lake Street Elevated's 1901 street-level extension along South Boulevard to Wisconsin (Marion) Avenue in Oak Park. The "L" was powered by overhead trolley wire along the extension for safety purposes due to the grade-level running. The tracks also paralleled the adjacent Chicago & North Western Railroad. 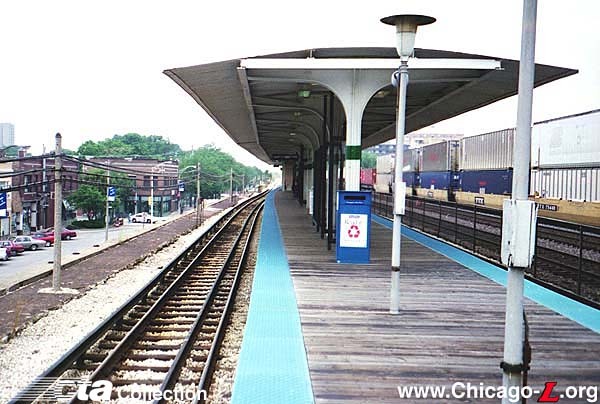 The "color code" for Oak Park station, used for various accents in the facility, was peach. The tiled wall outside the station entrances, on the embankment, featured pin-mounted metal letters spelling out the name of the station entrance. 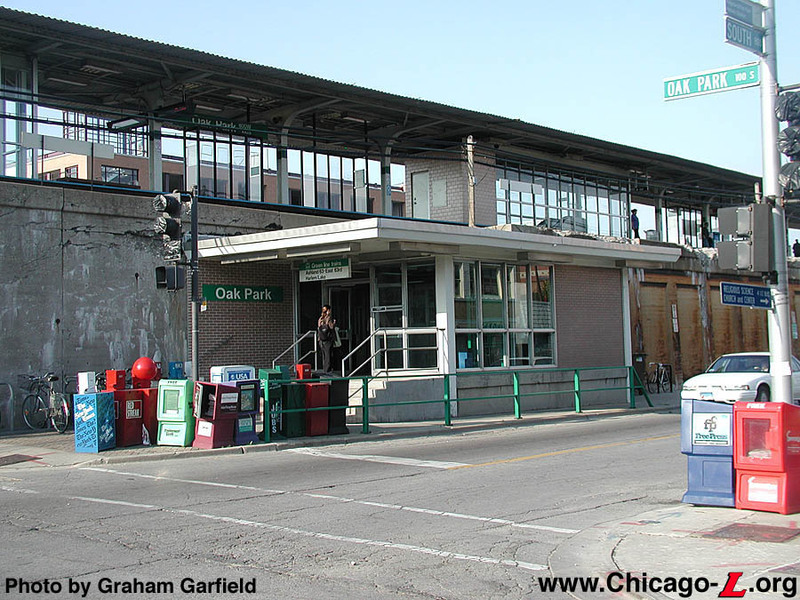 The Oak Park station had two entrances, with one at Oak Park Avenue at the west end of the station and another at the east end of the station at Euclid Avenue. 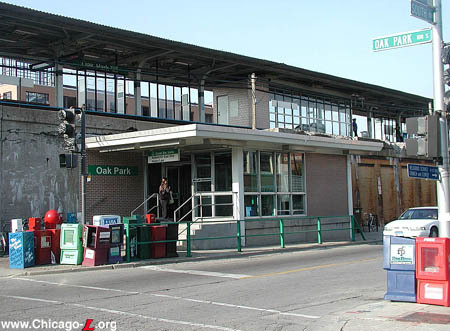 As a result, the station was sometimes referred to as "Oak Park-Euclid" in some promotional materials, though maps and signage simply referred to the station at "Oak Park". Lake "L" trains began using the new elevated right-of-way on the C&NW embankment between Laramie and Harlem on Sunday, October 28, 1962. The ground-level stations closed and the elevated platforms opened, but the new permanent street-level station houses were not ready yet, due to the street-level tracks needing to be removed before they could be completed. 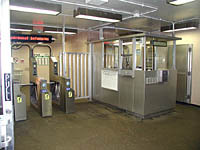 Thus, on opening day, temporary fare control areas were used at Oak Park and Euclid. Completion of the remaining amenities was not far off, however. 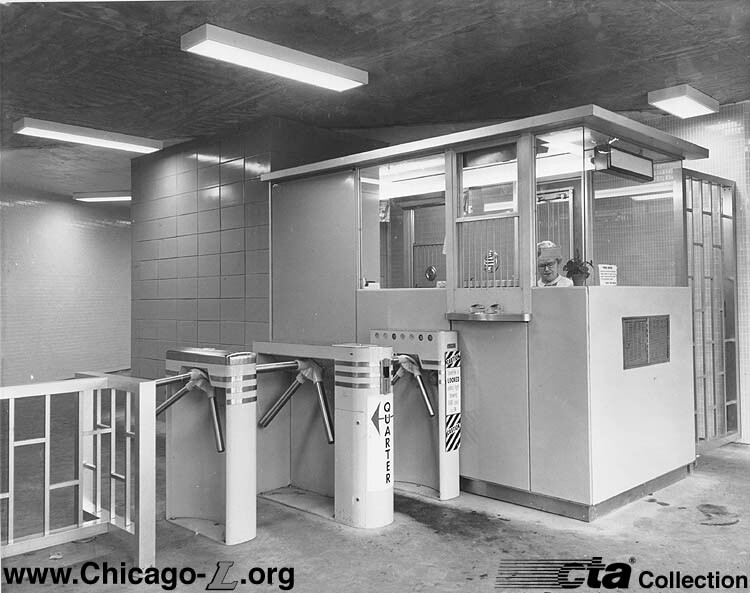 The escalator at Oak Park went into service on Thursday, November 14, 1962. 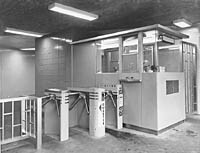 The first of the station's two permanent station houses went into service on Wednesday, January 9, 1963 when the control area at Euclid opened. This was followed by the opening of the permanent station house at Oak Park on Tuesday, March 5, 1963, which represented the completion of the track elevation project. The station saw modest changes through the following years. On Sunday, September 2, 1973, in one of several rounds of cost-cutting that year that included multiple station closures and service reductions, the Euclid entrance to Oak Park station was closed, though it was retained as an exit. Euclid remained available as an exit as least as late as the 1980s, but has since been closed and boarded up. 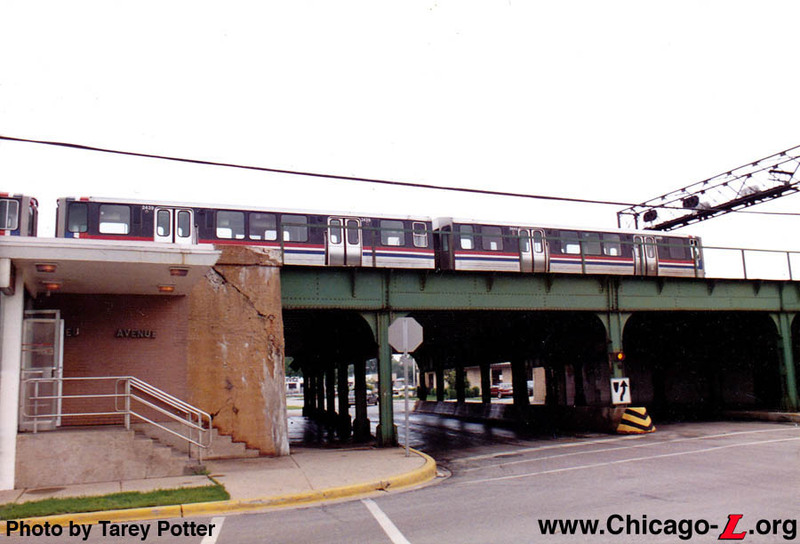 The Lake Street "L" and the rest of the Green Line closed in 1994 for a two year refurbishment, but a CTA citizens advisory task force recommended that Oak Park (along with Austin, Laramie, Homan and Halsted) be shut down and never reopened to make the interval between stations standardized one mile and to save money. 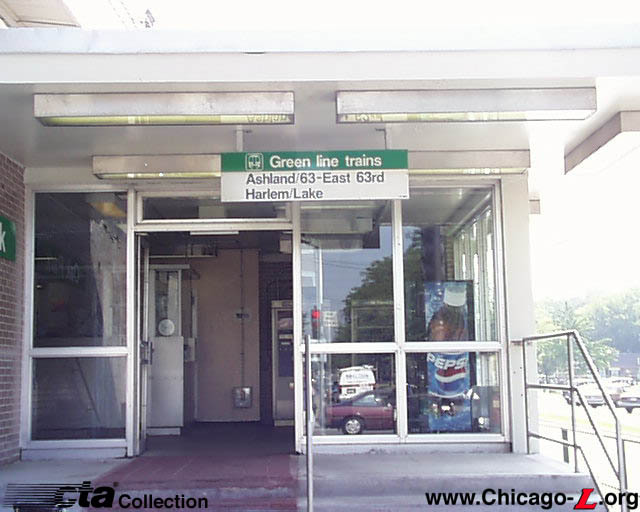 However, after a protracted battle waged by Oak Park's citizens and elected officials, the station reopened in 1996 with the rest of the Green Line. 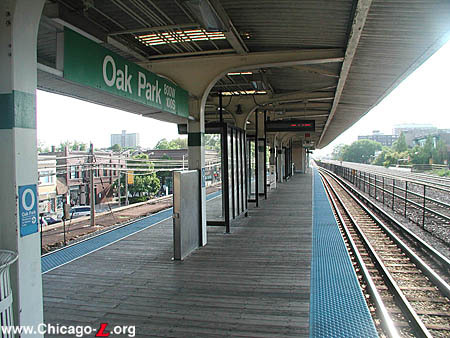 However, unlike other stations that were rebuilt, few alterations were made to Oak Park station, as it was not originally budgeted to receive an overhaul. The existing station house, platform, and canopy remained. The station received new fare controls and some new signage, though some old signage remained. More significantly, Oak Park station, along with Austin and Ridgeland stations in Oak Park, reopened without modifications to make the stations handicapped-accessible. 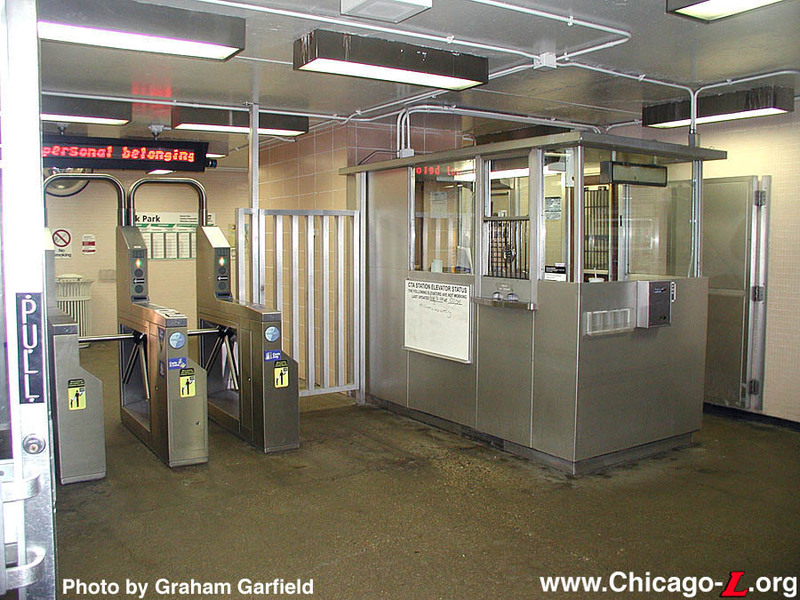 CTA officials contended they were not mandated by federal law to make all stations handicapped-accessible because they made only cosmetic changes to Oak Park and the two other suburban stations while carrying out the $350 million Green Line renovation. 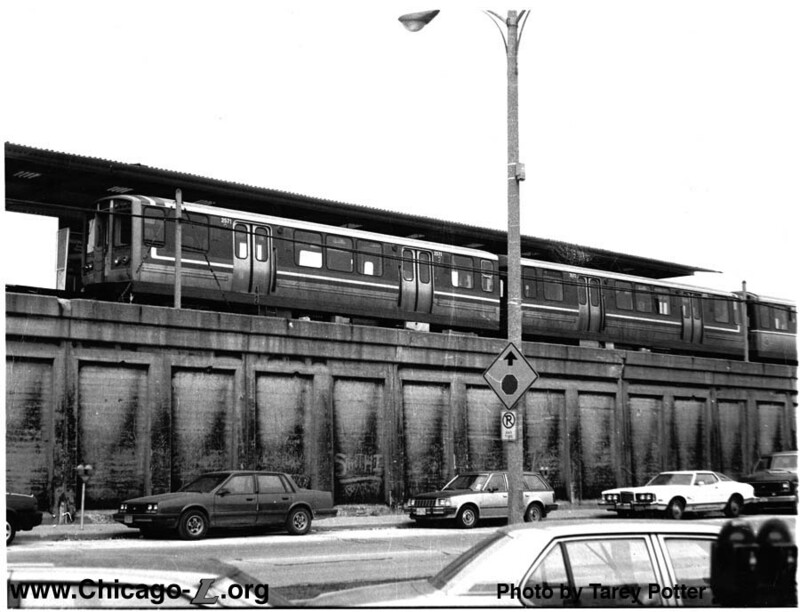 Eighteen of the line's 27 stations -- all stations except the three in Oak Park and some Loop stations shared with other routes -- were eventually made handicapped-accessible, including the Marion Street entrance to the Harlem/Lake terminal in downtown Oak Park. The other Oak Park stations, at Austin, Ridgeland and Oak Park, were not scheduled to be made accessible because the transit authority did not have the money, CTA Chairman Valerie Jarrett said in 1996. Oak Park residents with disabilities protested the lack of accessibility after the project, and Village President Lawrence Christmas agreed to seek funds to make all the Green Line stations in Oak Park handicapped-accessible but the three stations are still currently not ADA-compliant. Oak Park station received some new signage at platform level in 2009, including new "board here" signs and new column signs that adhere to CTA's current signage standards (which, ironically, were first designed as part of the 1994-96 Green Line rehab), replacing some signs that dated from the 1980s A/B skip-stop era. The station name signs remain an odd variant, presumably installed in the 1994-96 rehab -- they have white letters on a green background, a style previously used for "B" stations in the skip-stop era (whereas Oak Park was an "AB" all-stop station under A/B service).